American made Polygrid™ Ranch Fence is high- performance polymer fence designed to protect and contain your valuable animals without the problems and cost of constant upkeep. It is manufactured by a patented process that creates grids with no joints or junctions that can fail under stress. It can withstand the rigorous demands of equine installation day in and day out. Strength – Polygrid™ Ranch Fences are lightweight yet stronger than most materials available for the same application. 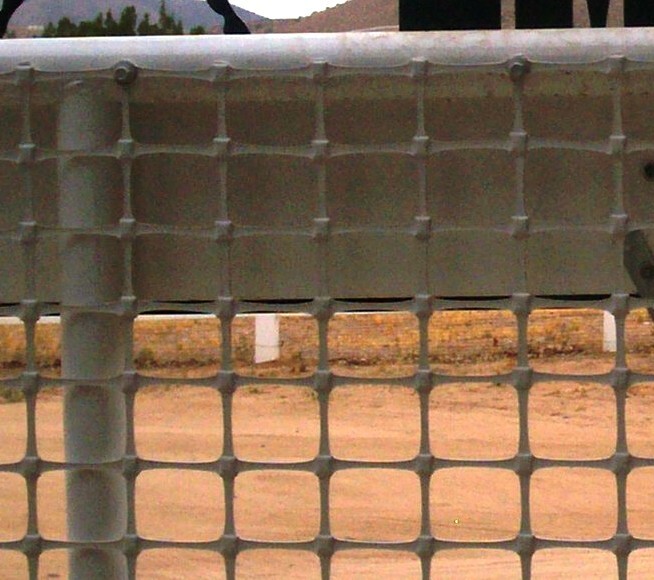 Resists Sagging – Properly installed and tensioned, Polygrid™ Ranch Fence won't sag or stretch. They require little maintenance and retain their attractive appearance. Superior UV Resistance – Polygrid™ Ranch Fences are extruded from polymer resins that include ultraviolet inhibiting additives, which provide protection from the degrading effects of sunlight. No Weak Junctions or Joints – Unlike products that are bonded or welded together, Polygrid™ Ranch Fences are manufactured from a single sheet of polymer material so there are no week junctions to fail under stress. More Consistent Mesh Size – Precisely shaped and sized holes are punched in the polymer sheets during the manufacturing process. The sheet is then uniformly stretched to ensure that the finished fence product has a consistent mesh size across its width and length. 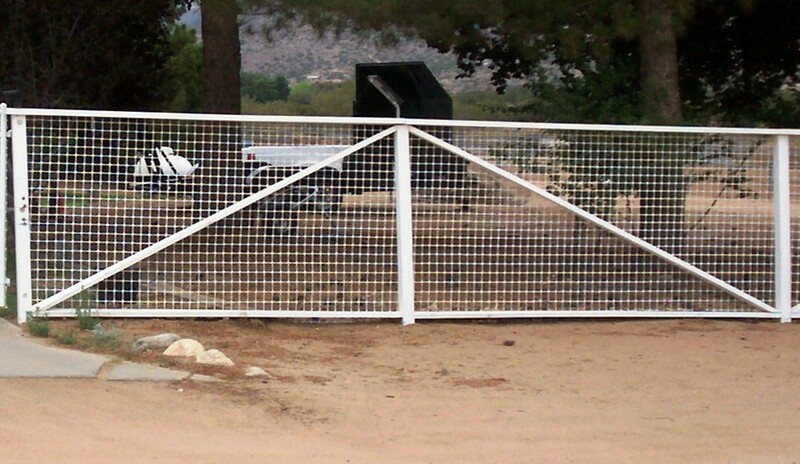 Available in black or white, Polygrid™ Ranch Fence installs quickly and is impervious to rust, rot and corrosion. It's lightweight, yet stiff, making it easy to handle, transport and install on wood, metal, PVC, or other plastic posts. No matter what type of post system you choose, Polygrid™ Ranch Fence adds practical beauty to pastures, paddocks, training areas, or driveways. It's strong, durable, and virtually maintenance-free and has been proven in installations across the country. Polygrid Ranch Fence has been recognized not only by horse owners and breeders, but also by other experts in equine-related fields. What's the Polygrid Ranch Difference? Patented technology enables Tensar to manufacture a more uniform product with superior strength and better resistance to sagging.